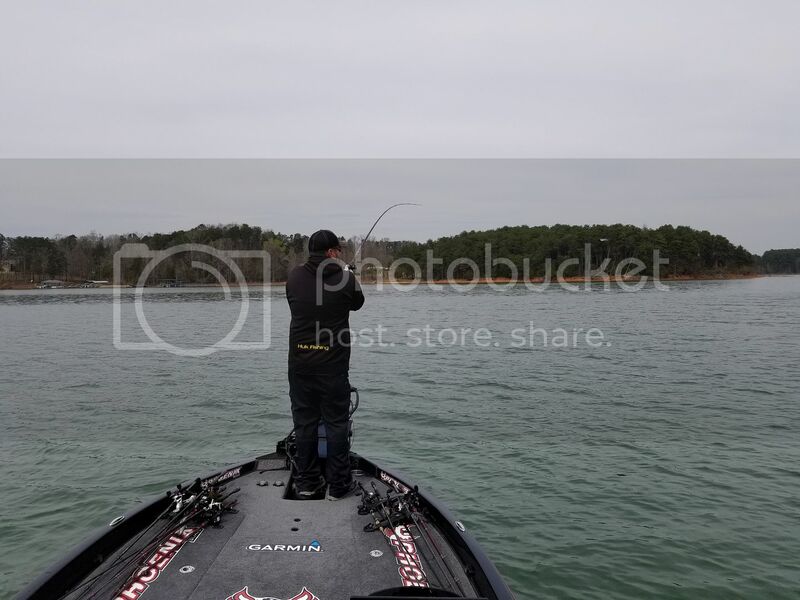 The 2018 Bassmaster Classic on Lake Hartwell lined up to be a power fisherman’s dream. 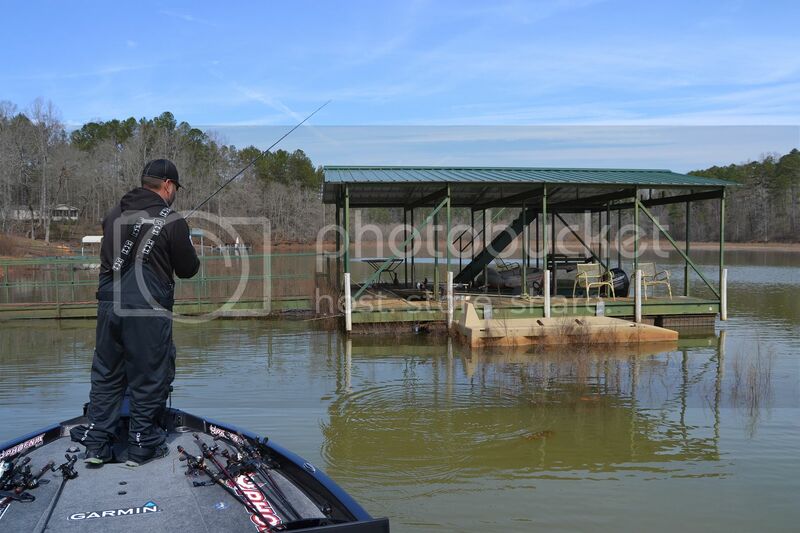 The lake was at full pool and fish were on the move shallow in preparation of the spawn, the Elites fully expected to load em up really good. Some did and some surely didn’t. 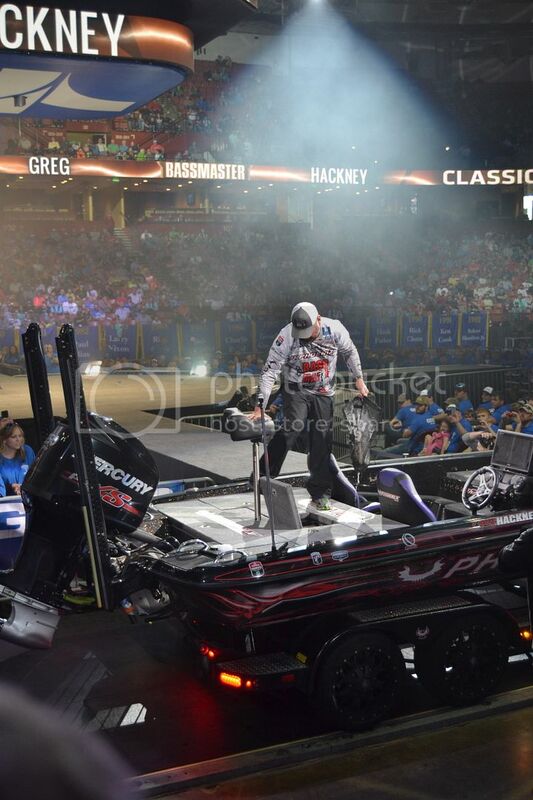 When the email came through on the Wednesday before the Friday blastoff informing me that my day 1 angler to marshal would be Greg Hackney I was some excited. 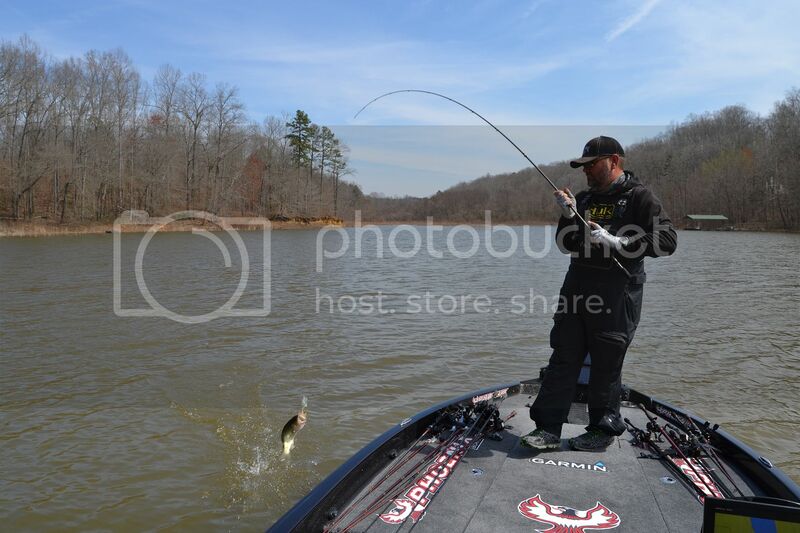 The Hack Attack is one of the guys I’d probably think I fish most alike. A jig power fisherman through and through, I was pumped to see him work. 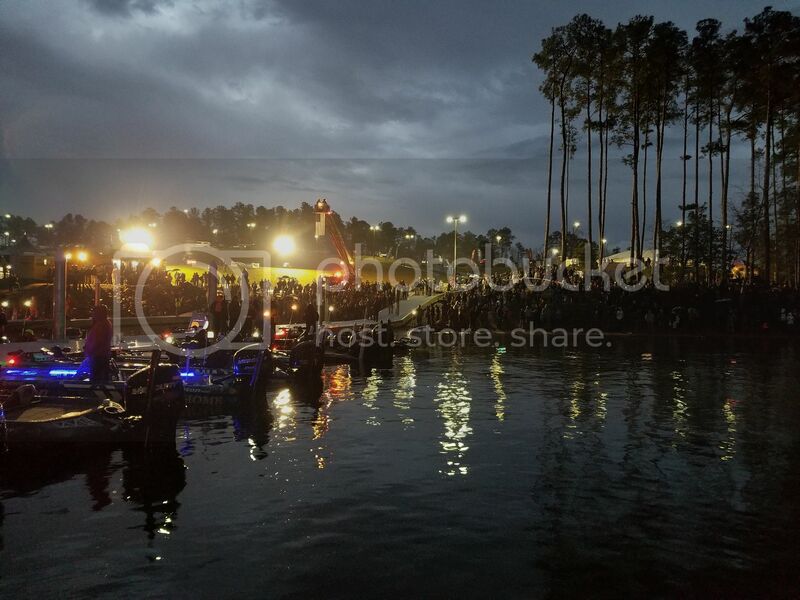 Bassmaster Classic morning blastoffs are a sight to see. 6 AM and thousands of people lining the shoreline to watch the boats drive off for the day. Anglers boats tied off to docks, nervous tension everywhere yet there is an excitement that is palpable. I make my way over to boat 51 and Greg is already tied off and standing in his boat. “Permission to come aboard Captain?” “Ya buddy, Greg Hackney” and with a handshake I knew this day would be fun. The National Anthem is sung by Casey Ashley and it’s time. Blastoff starts and we are off. Greg’s first stop was about 4 miles away and we were there in no time in his Phoenix topping out at 72 mph. 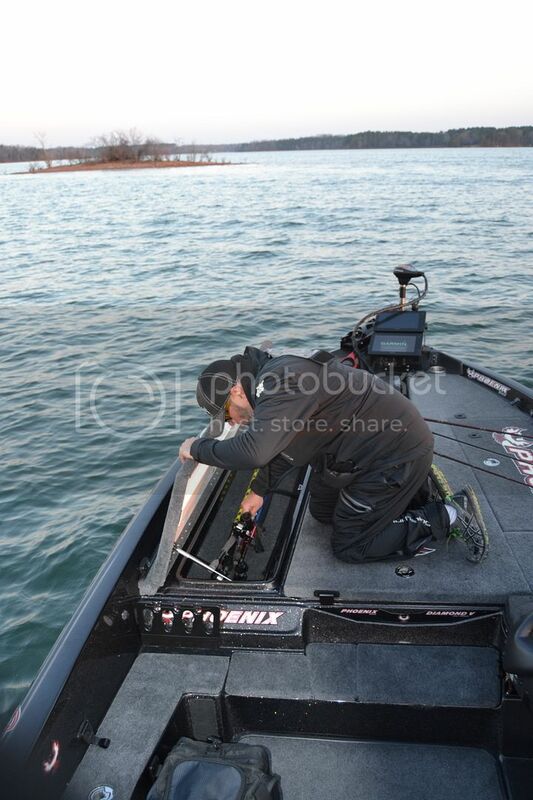 He started pulling rods from the rod locker. 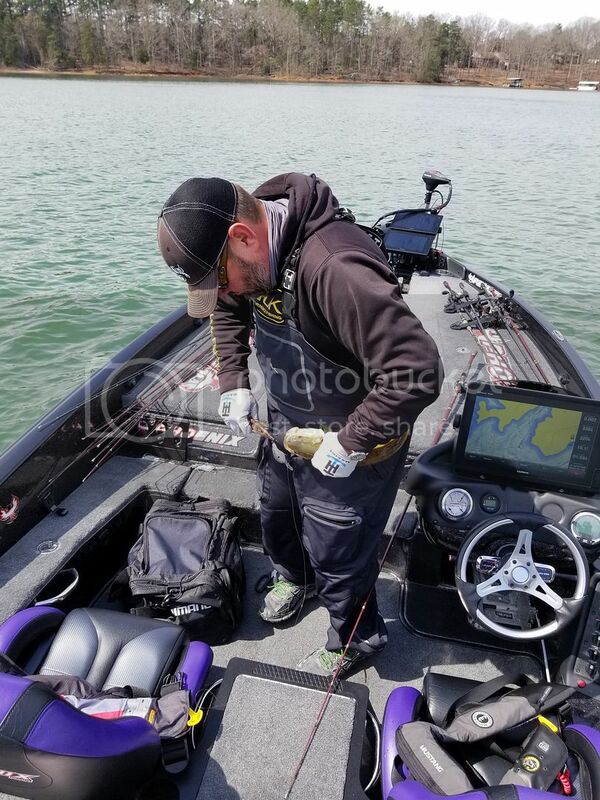 Crankbaits?!?!?! C’mon Hack! Where’s da JIG??? He then started to share how his practice was. 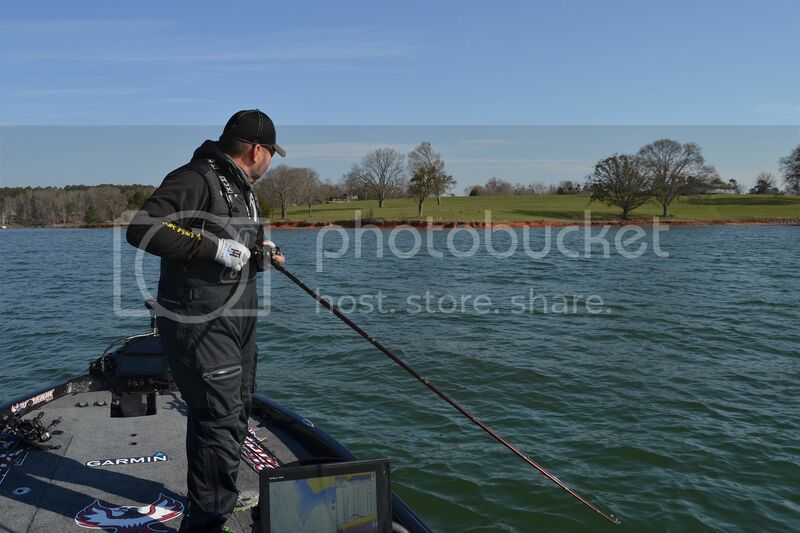 He felt he had fish shallow that he could get 13 to 14 lbs a day but couldn’t win on that and it’s the Classic. “I only come here to try to win” he remarked. The spot we stopped first he caught a 6 and a 5 in 20 minutes fishing on the Friday before the Classic. Issue is as he would explain is that a week is along time for things to really change at this time of year. 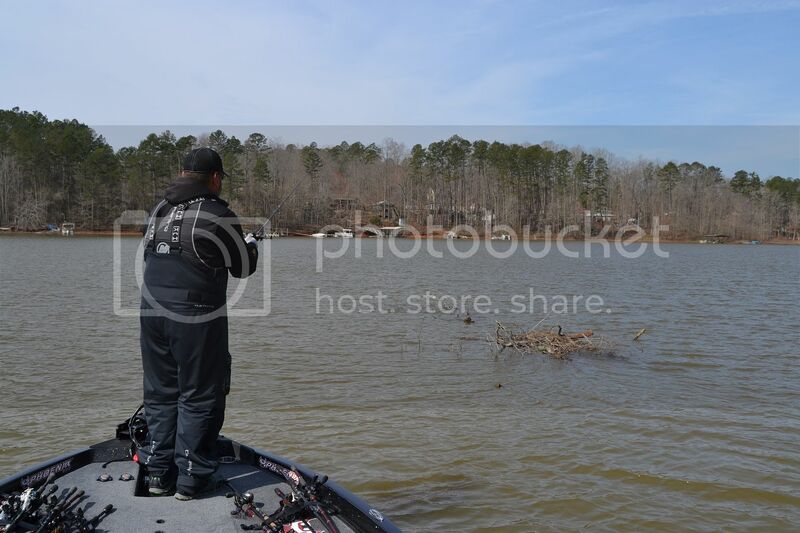 He started with a 5XD casting it up into 15 to 18 feet of water while the boat was in 20 feet. He pulled the chute and started to run some different areas that were similar, it just wasn’t happening for him early. He made a long run to another area that Ike was fishing nearby. 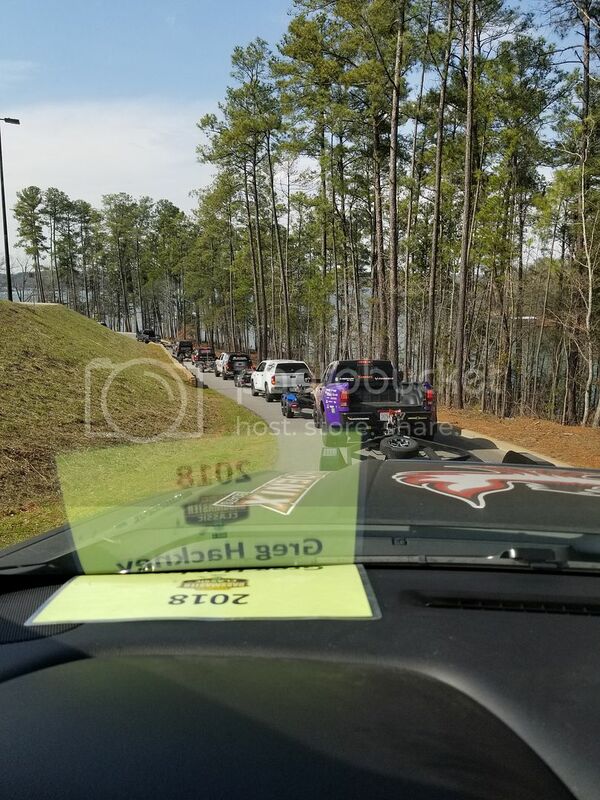 We could tell as there were 25 boats surrounding someone. When Ike left so did the 25 boats. This spot looked great on the Humminbird mapping, mid lake point at the mouth of a large spawning cove. 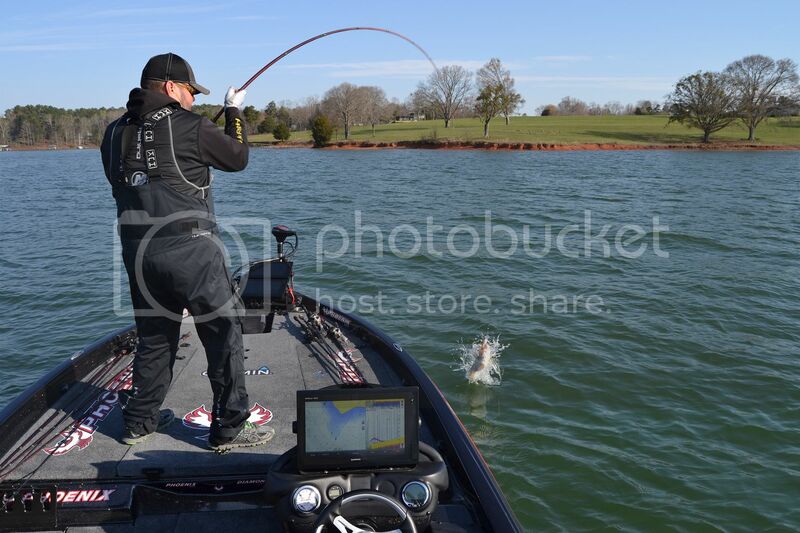 He bombed a cast with the crank and got blasted. Sadly, that would be his best fish on the day. 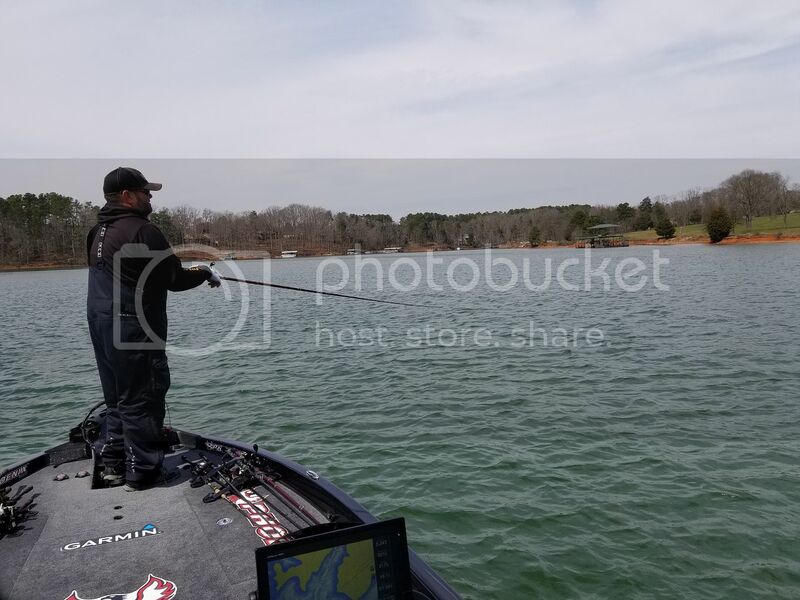 He gave that area and one nearby that was similar to no avail but a couple more keepers, but not the size he was catching in practice. Almost back to back casts but not the fish he needed. He was puzzled, sharing his frustration with me often. I could feel it from him, but he kept such a positive attitude that’s why he’s one of the best. He decided to make a move shallow. We made a 30 mile run to the very end of a river, like the VERY end. Out came the jig, chatterbait and a lipless crank. 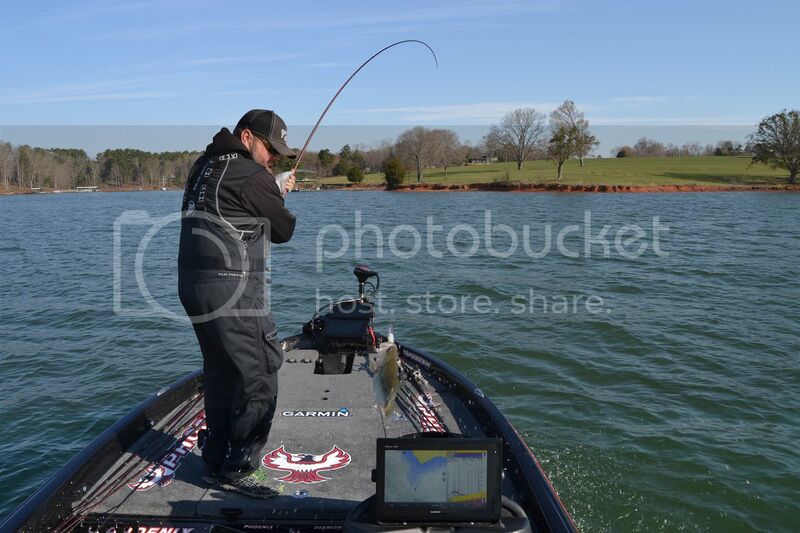 The area produced a few fish for him to fill his limit but he knew it wasn’t near enough to be even near contention. He ran the 30 miles back to the mouth of that spawning bay and spent most of the remaining time left there. 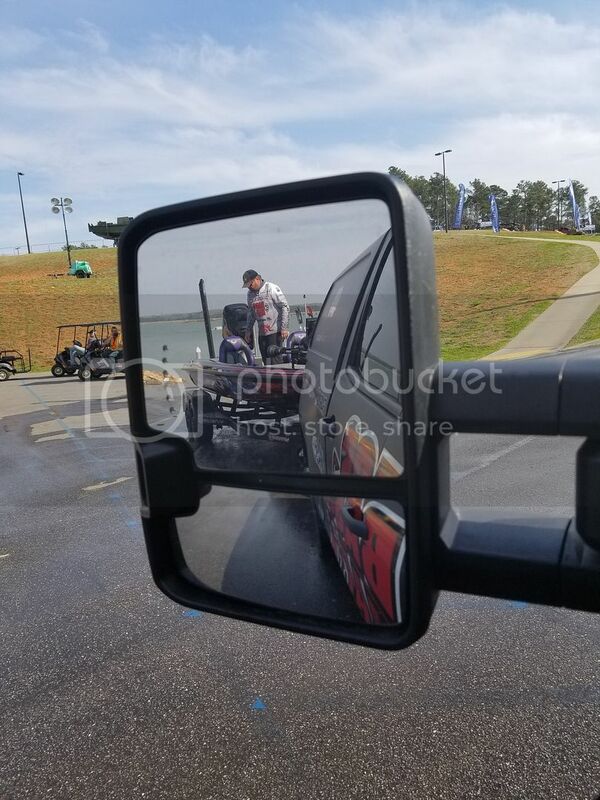 We pulled in at 2 PM and as he was getting out of the chair he says, “Lots of time, I still feel like I could pull 20 lbs off this area in no time. But, my confidence may be my downfall at times.” He never panicked though he knew he spent too much time on this deeper stuff that just didn’t pan out. He was looking for a way to WIN the event not do well, it just didn’t happen. We ran back towards the check in area with one quick stop at a neckdown where he culled out another peanut Spot, then ripped in. I could tell he was disappointed but he never let on. I offered to back his truck in for him so up I went to get it. No pressure backing in at this ramp with hundreds of people watching! 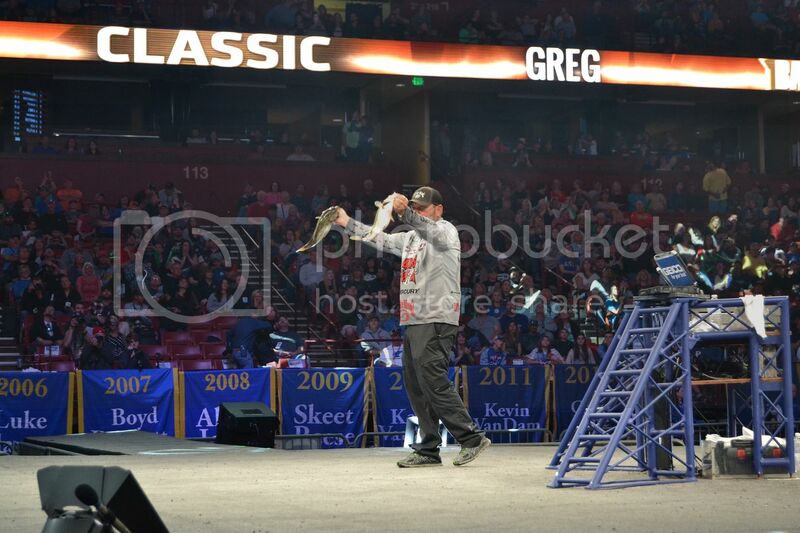 Hopped in for the ride back to the arena with him to weigh in, as his marshal I can’t leave his fish. 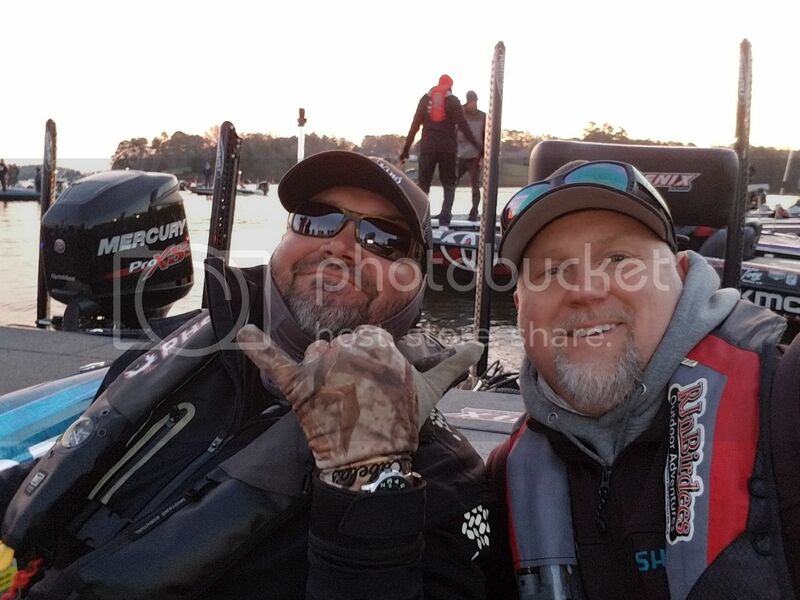 With the new rules at BASS we couldn’t talk about the St. Lawrence River with the no information rule in place but we chatted about pretty much everything else from boats to hunting, he really is just a good guy! His phone rang on the truck. Jacob Powroznik calling as he was driving back to weigh in as well. Man what a conversation and a great one to be a fly on the wall for. I won’t share it here but it was a good one. They sounded just like me or you calling a buddy after a tournament here at home, just a pair of beauties. We arrive at the arena, with a handshake, a little something for my man cave from Hack I’m off to the arena floor. As I’m walking in I really felt for him. To watch a great guy struggle and grind like he did was painful at times. These guys want it so bad but it just didn’t happen. His mental make up is what I’ll take away from the day, he never once gave up. Right down to the last minute he felt it could happen at any time. He made his way in to weigh his fish, weighing in 11 lbs and way back in the pack. It was a pleasure to spend the day with Greg aboard his Phoenix. He’s a helluva stick and a better person. 2018 just wasn’t his year to put that Classic title on the mantle, soon I hope.